In our Spotlight sections, you’ll get better acquainted with ministries or members of our church in the hope that how God is working in their lives will encourage and strengthen you! 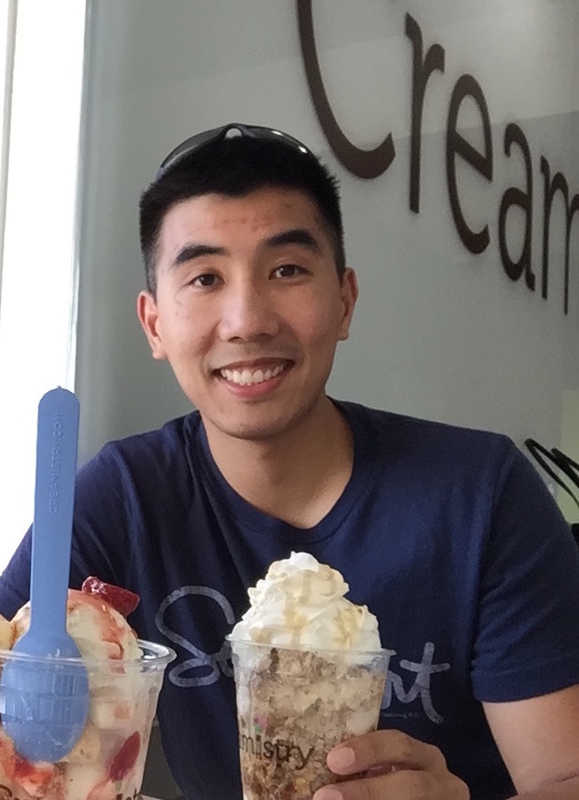 This week you’re introduced to Daniel Chen, one of our summer interns! Chris: Welcome to Lighthouse! We’re glad you’re here with us this summer! Anything you’d like for the church family to know about you? Daniel: I was born and raised in San Jose. I grew up going to church pretty regularly but didn’t genuinely believe in the gospel until my senior year in high school. In college, I went to San Jose State University where I studied Business Marketing and helped serve at Asian American Christian Fellowship (AACF). It was during my time at AACF where I started to think more seriously about seminary and vocational ministry. Upon graduation, I went into the marketplace and worked for a couple of years. I then went off to study at Western Seminary (San Jose Campus) where I have received my Master of Divinity in Pastoral Ministry and after graduation served as a youth minister at my home church, Chinese for Christ Church (CFCC). In terms of hobbies I’m not really sports guy, so anything related to basketball, baseball, Dodgers, Warriors, etc…don’t mean a single thing to me. I like to workout, watch movies (in particular the Marvel & DC movies), eat, read, surf on Youtube, hangout with my 2 nieces, and spend time with Sachi. I do have a great interest in exploring new territories and discovering new places (ie. restaurants, coffee shops, malls, cities, parks, etc…). When I have extra time, I would look up some recipes and attempt to cook them. Chris: What area of the church will you be involved with this summer? Looking forward to anything in particular? Daniel: I’ll be ministering to 2:42 (30+ Singles Group). Honestly, I’m just looking forward to getting to know the church body and serving them. I’m excited to see what God is going to do in and through this ministry. This will be a different experience since my past ministry experiences have been primarily working with youth; however, I am excited to be in a ministry where I have the opportunity to encourage my peers to follow Jesus! Chris: Have you gotten to know the staff pretty well? Any weird stories? Chris: How can the church family be praying for you? Daniel: (1) My Adjustment – Pray for my continual adjustment to Torrance, Lighthouse, etc…This is the first time I moved away from San Jose, so it’s a pretty huge step of faith for me. I’m having a great time so far, but still much for me to adjust and process. (2) My Spiritual Growth – Pray that I may continue to grow in the gospel. As a minister of the gospel, it is very easy for me to focus on helping others grow and neglect my own growth. If I’m not growing in my walk with the Lord, then I can’t expect the people I’m ministering to grow as well. (3) Balancing Life & Ministry – Pray that I will have a healthy balance specifically when to work and when to take a break. It’s easy to make work/ministry the center of my life, so it’s important that on my days off that I actually use it to rest and do something else (ie. devotions, workout, watch movies, etc…). Chris: Anything else you’d like to share?